This forum has been created so staff and faculty have the opportunity to reach out to the Dean and ask questions related to the College. 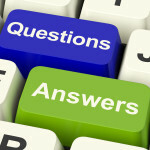 Questions can be asked anonymously or they can be asked in affiliation with your user account. All questions will be accessible to the public once they have been moderated. Please be sure to be courteous and professional when submitting a question and to stay on topic. Please respect people’s privacy. The Dean will answer each approved question in a timely manner. Thank you.